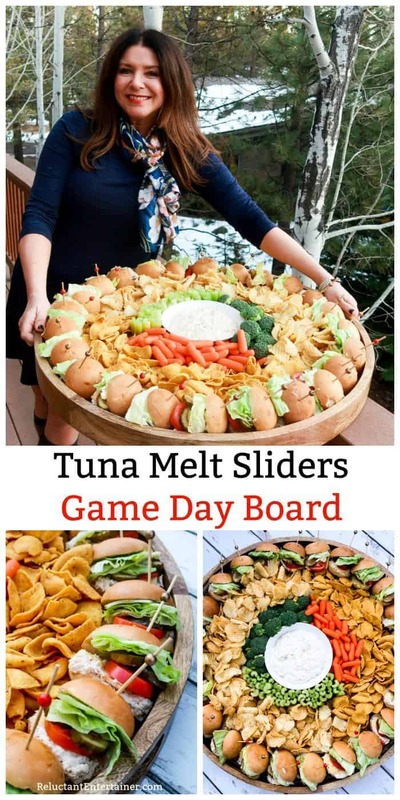 Tuna Melt Sliders Game Day Board–a delicious way to serve a large group! 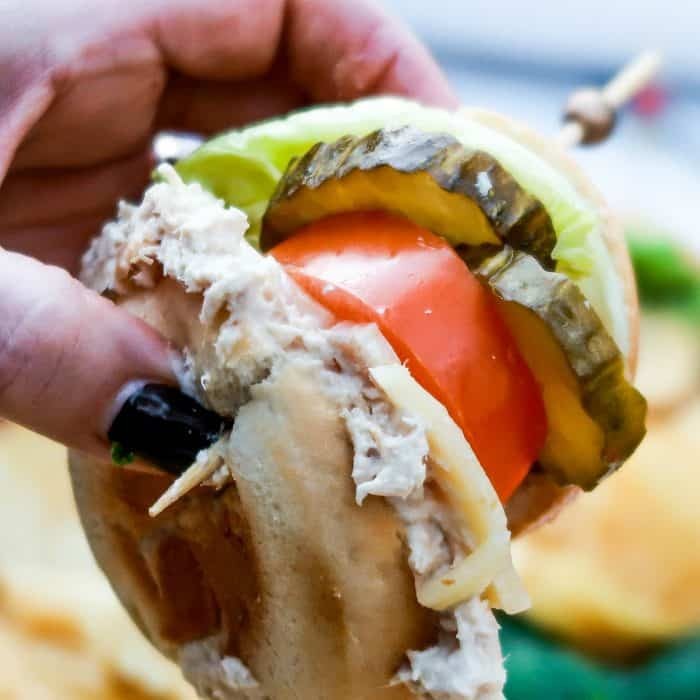 Melt cheese with tuna on soft yeast rolls, with lettuce, pickles, and tomatoes! 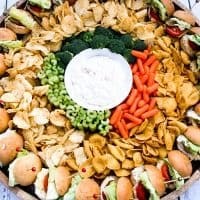 Planning a party for game day? 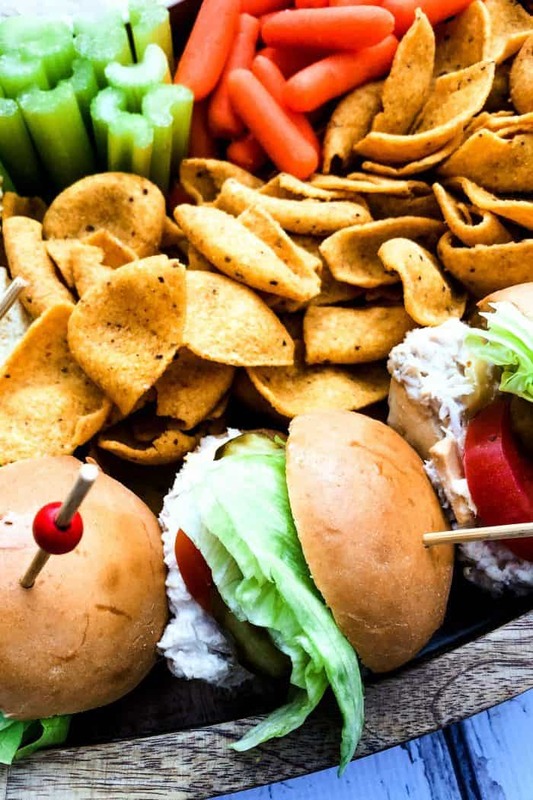 You’ll love this delicious tailgating Tuna Melt Sliders Game Day Board–cheesy tuna sliders with pickles, lettuce, and tomato. This post is sponsored by Rhodes Bake-N-Serv® . This slider recipe is easy for the novice cook to make at home or share on the road! (As in, you’re invited to a party and asked to bring a dish:) You may have already tried my popular Turkey Pesto Onion Cheese Poppyseed Sliders Recipe, sooo good, I got this flavor idea from Costco’s turkey sandwich! Or, if you love bacon and shrimp, these BEST Shrimp Bacon sliders are a huge hit at a party! Sliders are the perfect finger food for any get-together, and these flavorful tuna melts are SO GOOD! 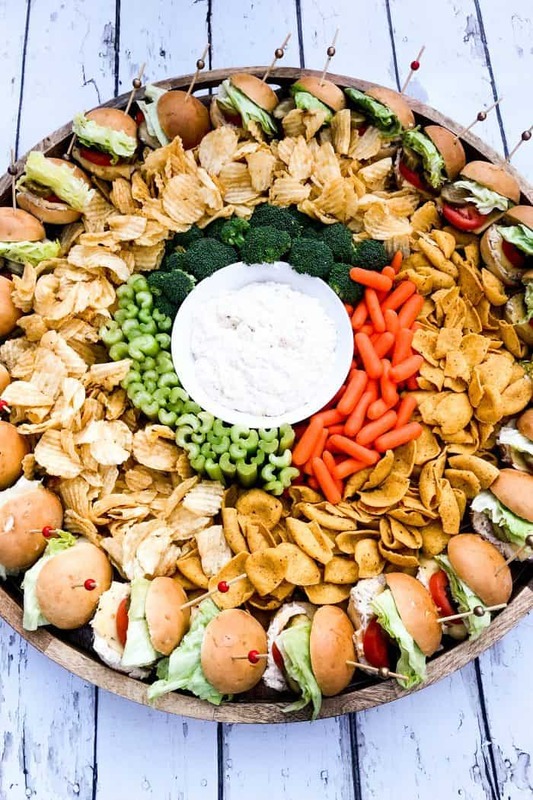 Feeding a crowd for game day? Sliders are the no-stress way to keep everyone happy. 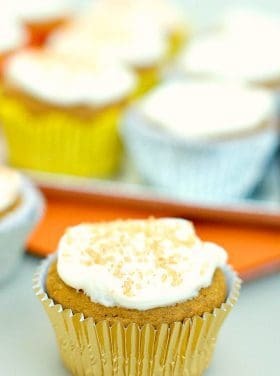 Just be sure to make an extra batch, which is why I love my “board” idea! Start with an epic charcuterie board and assemble as much food as possible. 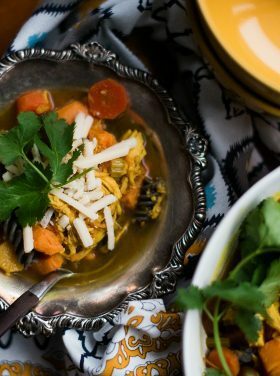 Fill with tuna and cheese. Place back in the oven to heat just enough to melt the cheese. Remove from the oven and add the lettuce, tomatoes, and pickles. I bought these cute sticks from a local store here in Bend, Oregon, but any little skewer through each slider keeps them together. You may remember my Party Ham Rolls Charcuterie Board, where I used Rhodes Bake-N-Serv™ Warm-N-Serv™ Artisan French Rolls. It’s true, they taste exactly like your mom or grandma made them! 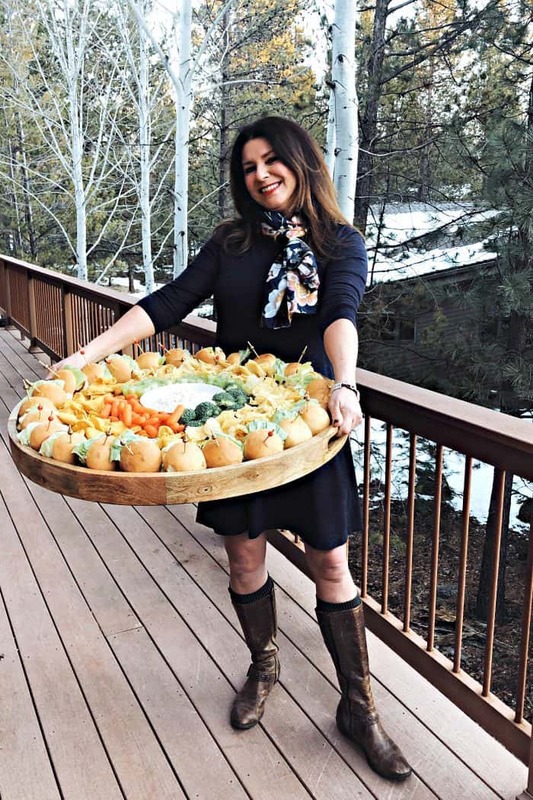 Such a great “easy tip” for a hostess looking for a delicious way to serve a large group! 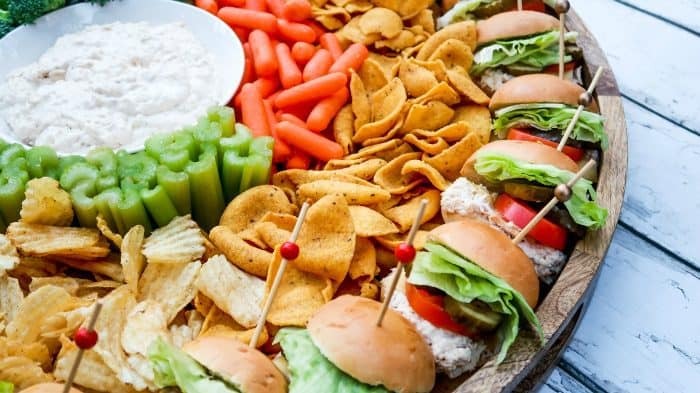 Here are more game day sliders to try! 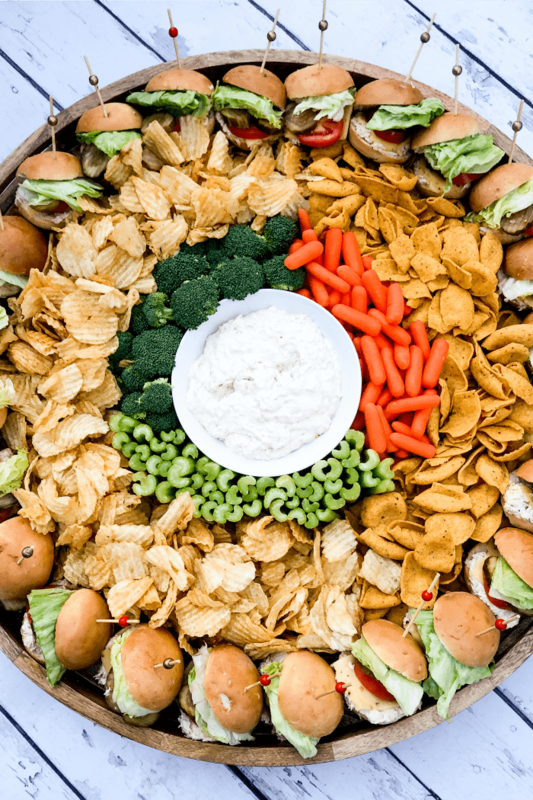 For this board, we served a classic white dip in the middle (caramelized onion dip), with carrots, celery, and broccoli for dipping. 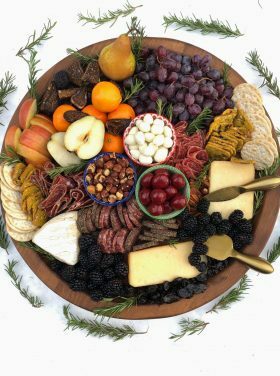 Read more about this epic board at this post Easy 3 Charcuterie Ideas for Hosting. Or, add your favorite chips. 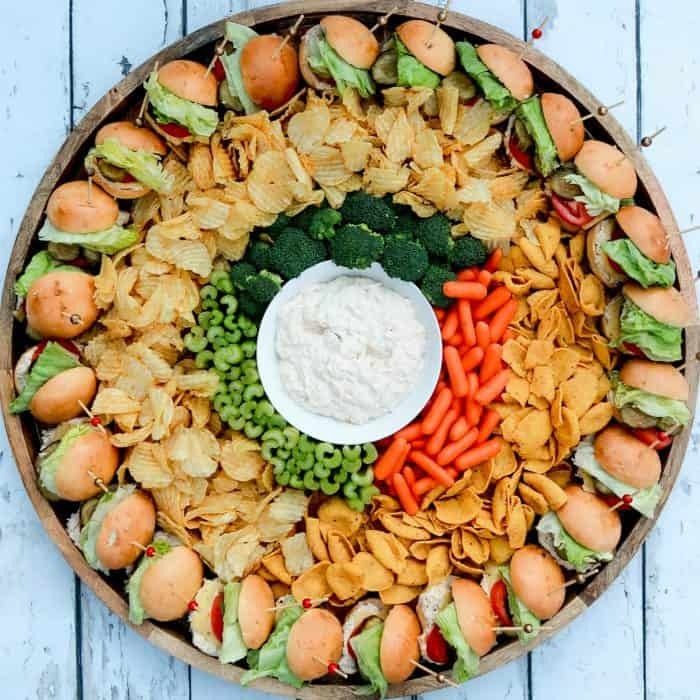 Have you added large potato chips to a tuna sandwich? OH MY WORD. If not, you are missing out! 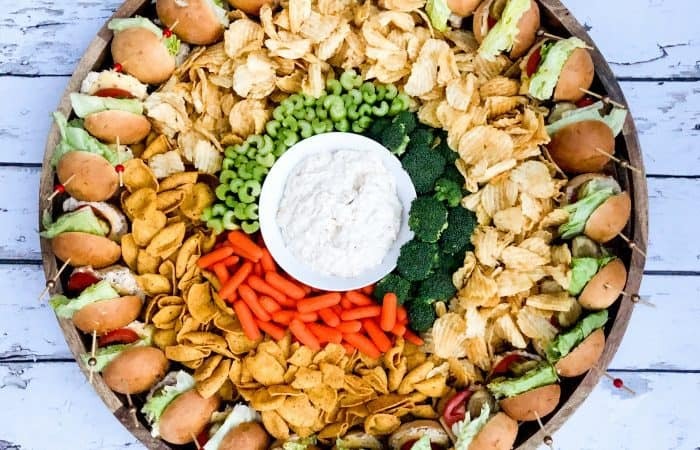 So we served this board with both potato chips and Fritos! Assemble the board, and right before serving, add the warm (melted cheese) sliders around the outside of the board. HAPPY GAME DAY HOSTING, FRIENDS! Makes 24 sliders. Cut the recipe in half for a smaller board (to make 12 sliders and serve 6). 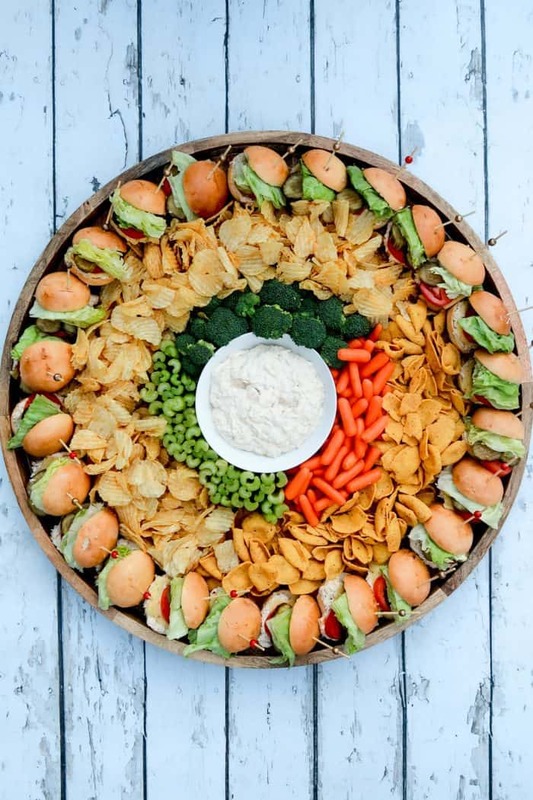 On a large board or platter, place the dip in the center of the board. Arrange the vegetables around it. 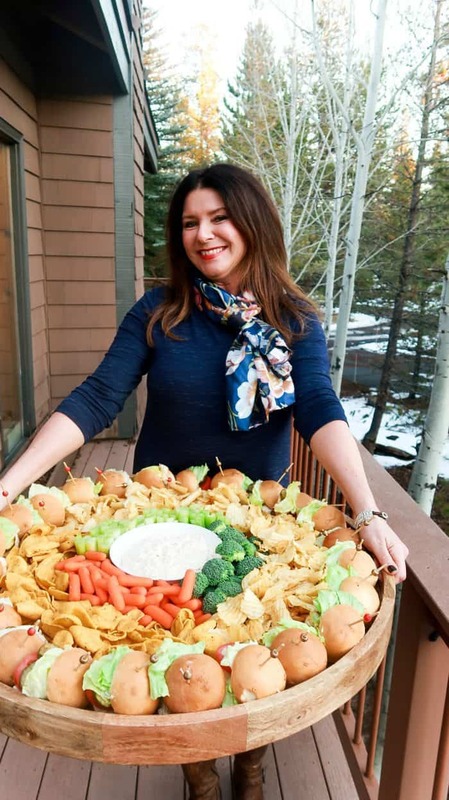 For the next layer, place the potato chips and Fritos. For tuna mixture, empty drained tuna into a large bowl. Mix with a fork, adding the mayonnaise and grated red onion. 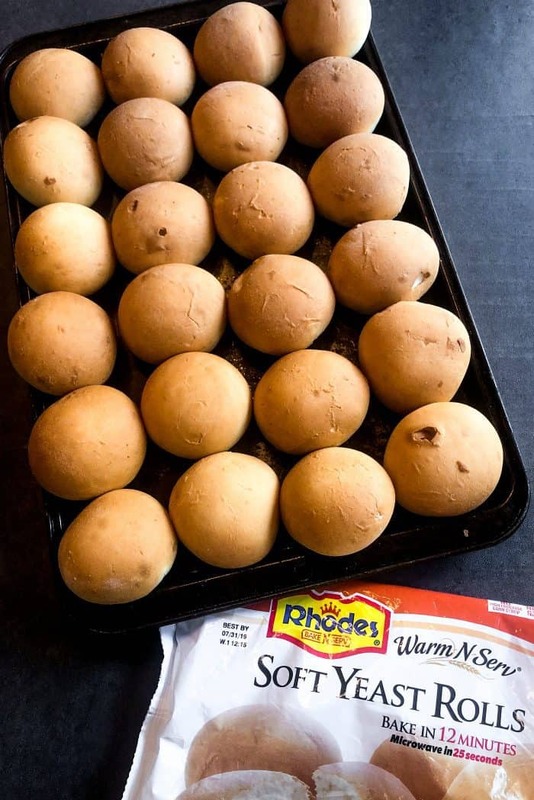 Heat the dinner rolls according to package directions. Slice (but not completely through), and add 2 Tbsp. tuna mixture. Place cheese on top, and place the top of the roll back over the cheese. Place all the rolls in a baking pan and cover with foil. 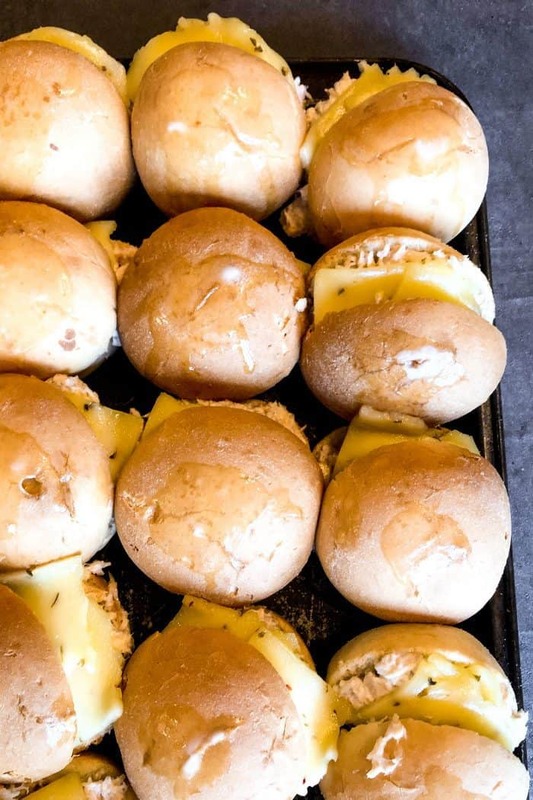 Bake the rolls at 350 degrees for additional 10-15 minutes, until the cheese is melted. Remove foil. Add a thick slick of tomato, iceberg lettuce chunk, and 2 pickles. After assembled, place a “skewer” or long appetizer toothpick in the center. Place the 24 tuna melts around the outside of the board. SERVE! 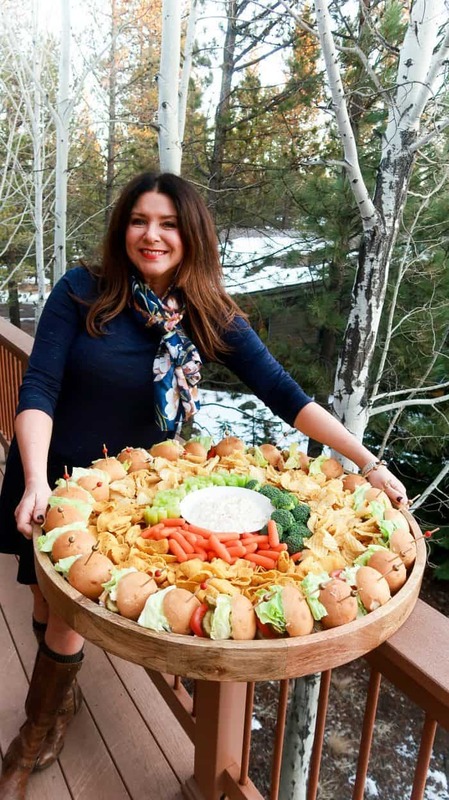 Can you please tell me where you purchased the large round wood board??? So cute!! This is a great idea! I love your large board ideas! I need to be on the hunt for one. I love a good tuna sandwich! Such a perfect Super Bowl Sunday board!